The San Francisco Bay Bridge will be closed this week from Wednesday night at 8 p.m. until Tuesday morning at 5 a.m. causing traffic nightmares for residents and SF State students commuting to school across the Bay. The closure during Labor Day weekend is part of the $6.4 billion project to replace the eastern span of the bridge. The eastern span has been marked for replacement since the 1989 Loma Prieta earthquake damaged the bridge. Authorities are advising drivers who usually cross the bridge to instead use BART, the free shuttle to SF State and the Clipper Card, which lets riders to bypass long ticket lines. Students like 22-year-old junior Claudia Aguas are leaving themselves extra time to get to work. The Bay Bridge has been closed three times during the Labor Day weekend since 2006 with minimal difficulty and light traffic, but this weekend’s closure includes an extra two weekdays. It has some authorities concerned about the impact on traffic. Other students like 26-year-old senior Dylan Andersen aren’t concerned, however. 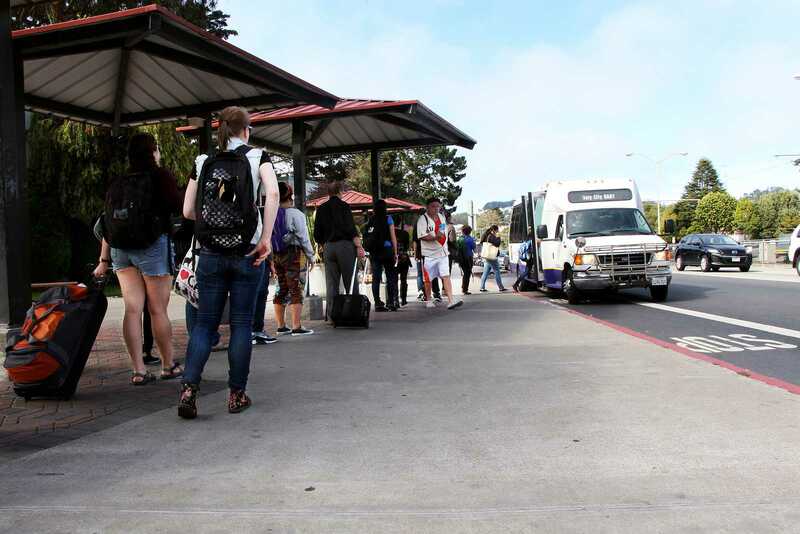 The SF State Parking and Transportation department said they can’t be sure how the closure will affect the SF State community, but they have sent out a mass email to the campus. Commuter students can buy Clipper cards at the Cesar Chavez Student Center and other locations around the city. BART plans to run trains around the clock during the closure and the University offers free shuttle service from the Daly City BART station to campus Monday through Thursday from 7 a.m. to 10:30 p.m. and Fridays from 7 a.m. to 7 p.m.
Muni also provides free bus service for riders with a Clipper Card between the Daly City BART station and campus via the Muni 28/28L. The transfer is also valid for the return trip from campus all day. Anyone who is unsure of their commute route is encouraged to visit 511.org for the latest information on Bay Area public transportation.